Welcome to the Official Big 12 Championship Fan Information Site. 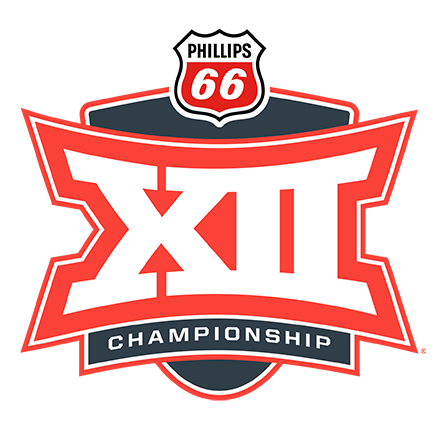 Kansas City hosts the 2019 Phillips 66 Big 12 Men's Basketball Championship for another year on March 13-16. The Big 12 Men’s Basketball Championship has been played in Kansas City 17 times since the league began competition in 1996‐97 -- more than any other city in the Conference. Kansas City is excited and honored to have the opportunity to host the 2019 Phillips 66 Big 12 Men's Basketball Championship. Please use this site to help plan your stay in our great city. Kansas City is thrilled to once again host the Big 12 Men's Basketball Championship. Here's everything you need to know. The party includes contests, live entertainment, team pep rallies, giveaways and basketball watch parties on a 250 square-foot, high-definition video screen. Mark the triumphant return of the Phillips 66 DI Women’s Basketball Championship, ready to take KC hoops fans by storm through 2024—all at Municipal Auditorium. With the new KC BBQ Experience app, visitors and locals alike can track their barbecue adventures during the Championship—and earn prizes and badges along the way by embarking on the Big 12 Big Q Trail. Kansas City welcomes thousands of basketball fans during the course of the four-day event. Here’s what you need to know about Downtown street closures, parking, the new KC Streetcar and the best ways to navigate the Power & Light District during the Championship. Barbecue may be Kansas City’s signature food, but the dining scene here embodies the city’s many cultural influences, ranging from indigenous cuisines and home-style cooking, to a wide range of fusion foods. There are a lot of great options for dining near the Sprint Center and more just a short distance away.